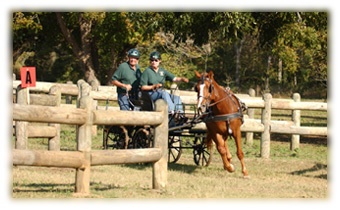 Please contact us directly for additional information about horses for sale. Murphy is a 1999 15.3 hh grey IDSH. 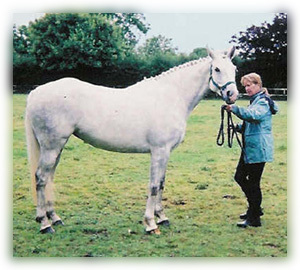 She was purchased for Pat's father ("Pawdad") who also fell victim to the charm of the Irish horses! 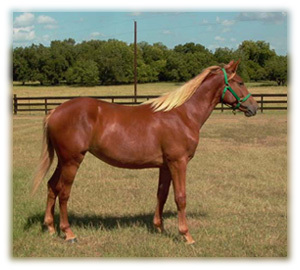 Murphy produces smashing foals with lovely movement and super temperamants. 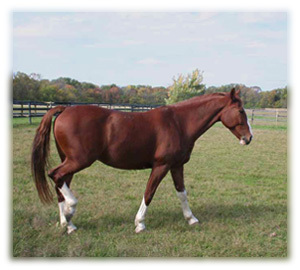 Molly, a 2004 chestnut mare, is 3/4 Irish Draught and 1/4 TB. 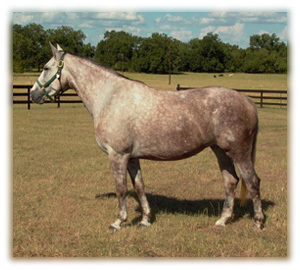 She has the sweet and easy disposition of the Irish Draught combined with the elegance of the thoroughbred. Molly both rides and drives. At her first competition, Molly wowed the spectators with her fabulous movement at training level dressage and handled the obstacles on the marathon as skillfully as a seasoned competitor. 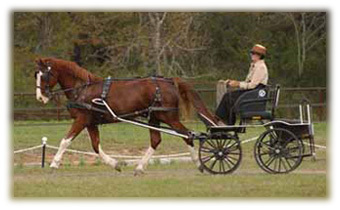 She is a 2000 16.2 hh chestnut Dutch Harness Horse mare by the famous stallion Jonker. 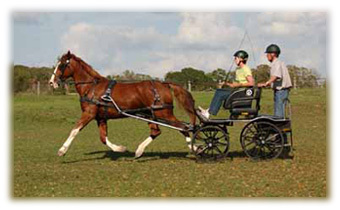 She is registered with both the KWPN in The Netherlands and with the American Dutch Harness Horse Association. Tanja both rides and drives and has extravagant movement as well as great action from the hocks. 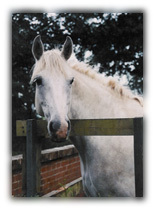 Little Mo is a 1998 15.2hh grey Irish Draught mare. 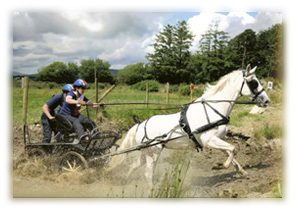 She both drives and foxhunts and began her competitive career in combined driving in 2005. 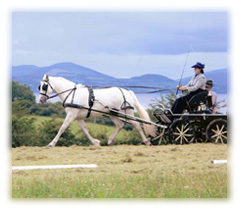 Karen and Little Mo have competed with both Carriage Driving Ireland and Northern Ireland Carriage Driving Association and are consistent winners. Little Mo has both speed and elegance. 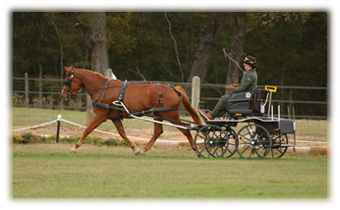 She consistently wins both dressage and marathon sections of the competitions.  Little Mo is located in Ireland.